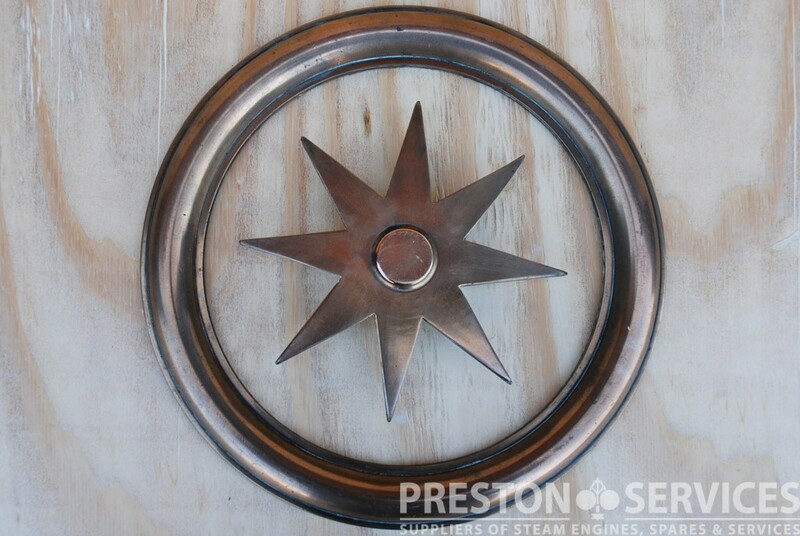 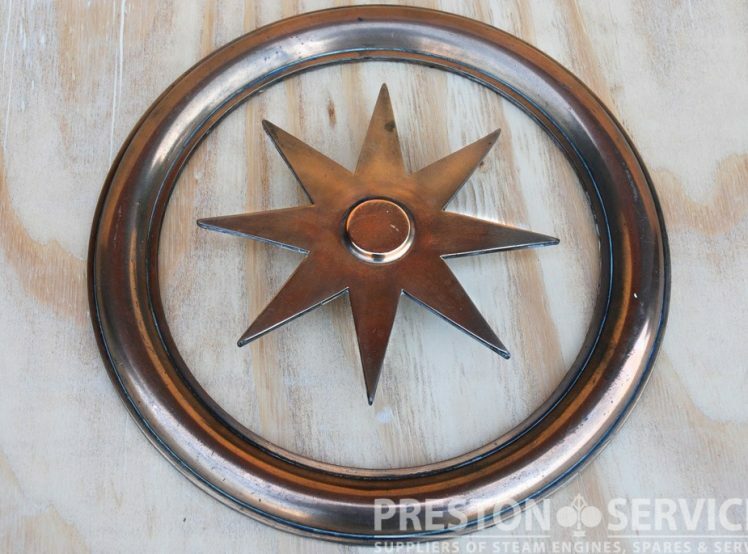 A vintage Burrell or Burrell style decorative brass ring and star. 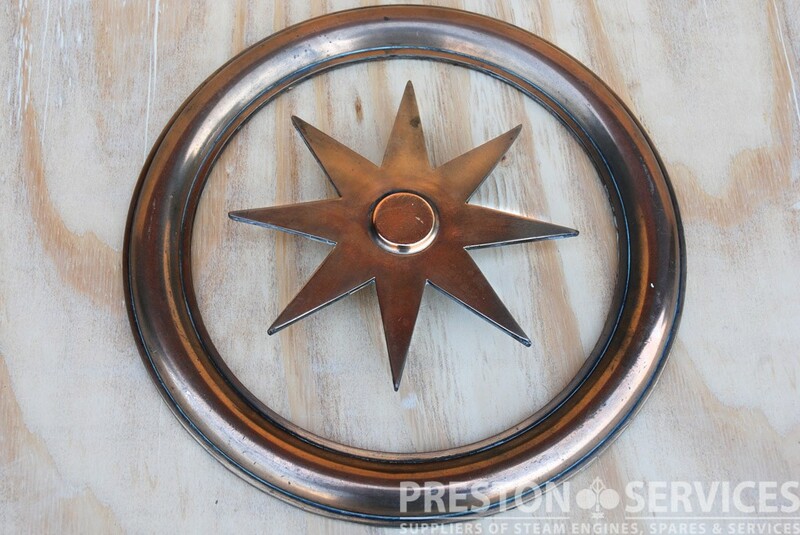 From the motion covers or belly tank of a road locomotive or showmans engine. 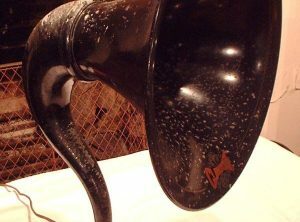 An early electrical loud speaker, c1922. 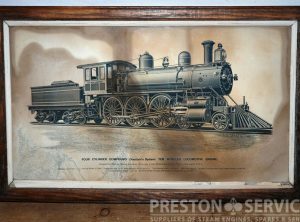 A rare advertising and information sign. 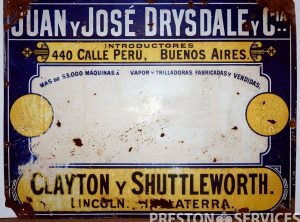 Produced for Drysdale & Co, the South American agents for Clayton products. 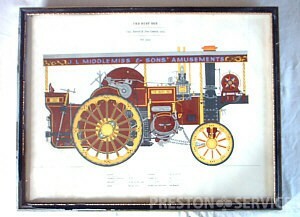 Profile diagram in colour of No. 3555. 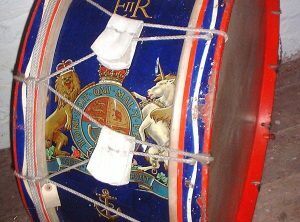 Details the NHP rating, size and weight, etc. 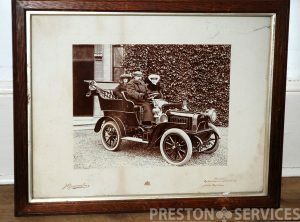 In a glass fronted frame. 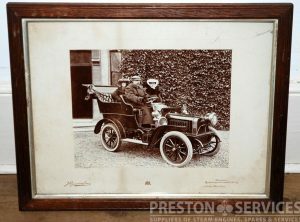 A framed photo of a handsome Edwardian car and its occupants. 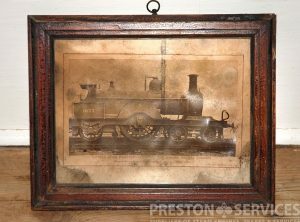 A handsome and rare old framed photo, ex a locomotive works office, of the experimental 10 coupled (0-10-0) ‘Decapod’ locomotive, the first and only example of this type ever built, and which was designed by James Holden for the Great Eastern Railway in 1902. 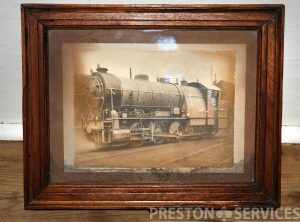 A handsome old framed photo, ex a locomotive works office, entitled “EXPRESS BOGIE PASSENGER-ENGINE OF THE MIDLAND RAILWAY COMPANY”. 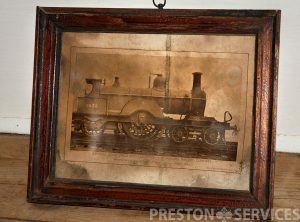 In reasonable condition, ex a locomotive works office.